He might not have Tony Stark's vast wealth, but Emile Leray seems like he's just as skilled a mechanic as Stark was when the chips are down. 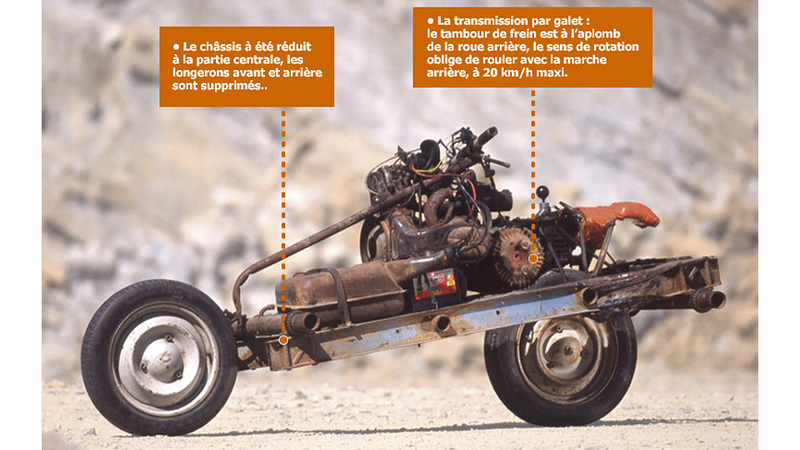 This all happened back in 1993 after his Citroen 2CV broke down in the desert. He spent 12 days rebuilding it into a working motorcycle so he could make his escape. As the story goes, the Frenchman was driving through the desert in northwest Africa when he hit a military roadblock preventing him from continuing due to some conflicts in the area. Instead of heeding the advice of the armed guards, Emile decided to loop around the roadblock through the desert where his Citroen hit a rock — breaking a swing arm and a frame beam, and basically putting it out of commission. 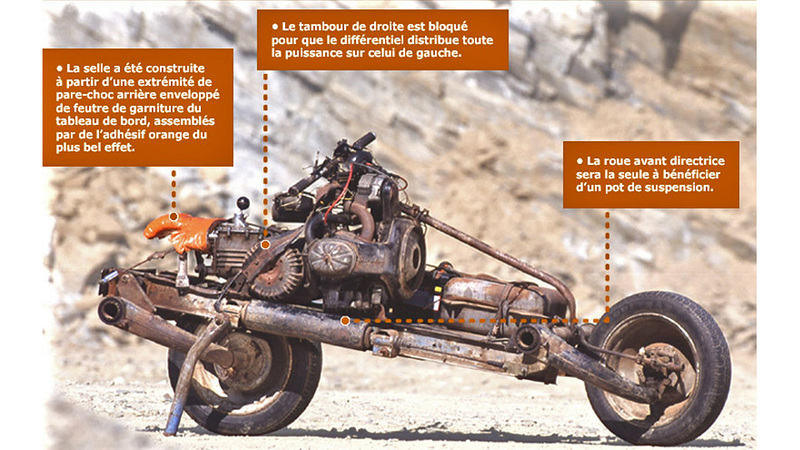 Not wanting to abandon the vehicle, or some valuable items he had with him that would certainly be stolen, Emile decided to go the badass route and transform the working parts into a Mad Max-looking motorcycle. Now keep in mind that this thing was built without the tools you'd find in a machine shop or a garage. Just the contents of a basic toolbox and a hacksaw. Even Stark had access to a welder. Long story short, Emile managed to get back home to tell the tale, and while his creation probably isn't going to be used to fight crime, it earned him mad respect in automotive forums all around the world.